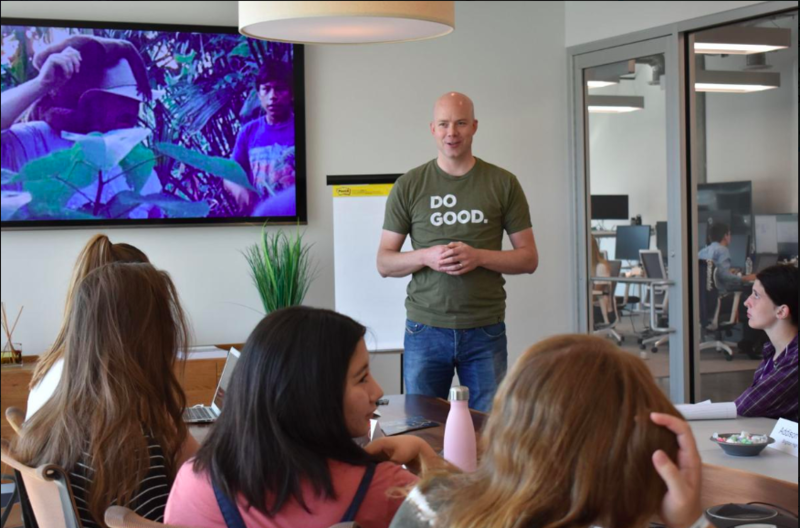 While their peers have been soaking up the sun or working summer jobs, a cohort of high school students spent the month of June learning how to be technology entrepreneurs. High school students came from as far north as Layton and as far south as St. George to join Utah County teens twice weekly in the Tech Entrepreneur Apprenticeship program. Sponsored by the Women Tech Council and Peak Ventures, local entrepreneurs came in and focused their presentations less on starting a specific business and more on the skills needed to be successful in any business. To challenge the students, the different workshops honed in on very specific business experiences, including business ideation, design thinking, sales and marketing, leadership training, negotiation, financial issues and user testing. In one challenge, students were put into teams and given $1 and the challenge to “trade up” that dollar. Tetro said she was very impressed because one team got $20 for that first dollar. Another team negotiated for a person in their last trade up. “They were so great to go out of their comfort zone. It was great to watch,” Tetro said. Timpview High School student Dallin Burningham came to the program to see if entrepreneurship is something he wants to do in the future. After Wednesday’s final session, he plans to continue learning more. “You can always learn something new. Your skill set isn’t fixed. You can learn the skills you need to start a business,” he said. Layton High School student Maria Baker made the drive south twice each week because she was hoping to also become more tech and business savvy. She was especially inspired by the idea that she can go out and make a change in the world. Another student, Dominica Valdivieso, came from St. George and has been staying with family locally so she could attend. She said she was also inspired by how so many of the bigger companies that dot the Utah landscape came from one person and one idea. “It really clicked with me. It’s given me a lot more confidence,” she said. Tetro and her team were excited to see the participants’ confidence grow throughout the month. This was the inaugural year of the summer apprenticeship program, and Tetro hopes to make it an ongoing summer program that will put students on a path to enter and lead the next generation’s technology workforce.